National honours and places on the Irish team for the European Indoor Championships are on the line this weekend. 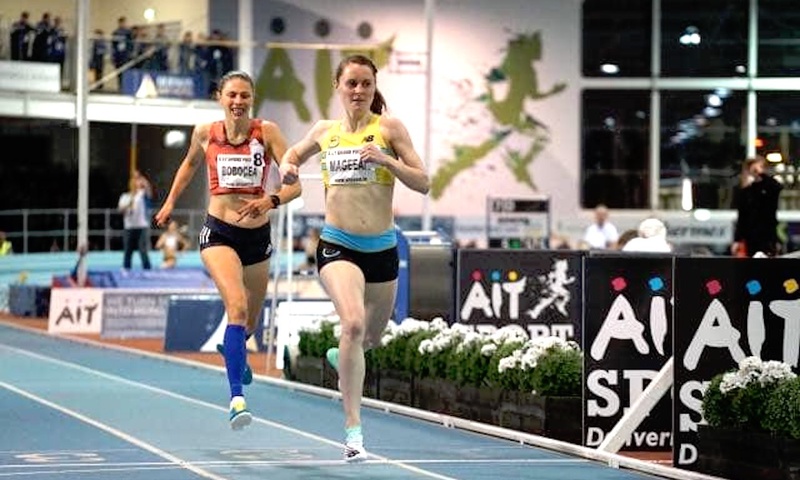 Ciara Mageean, Mark English, Phil Healy and Thomas Barr are among the top Irish athletes set to compete at the Irish Life Health National Senior Indoor Championships this weekend (February 16/17). Mageean is the outstanding distance runner on the women’s side this season having rewritten her own national indoor 1500m and mile records with 4:06.76 and 4:28.31 respectively. 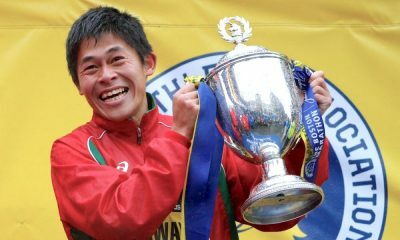 She is set to compete over 3000m and will prove difficult to stop. Raheny Shamrock’s Kieran Kelly will bid for his third national indoor title in-a-row as he bids to defend the 1500m title he won last year. Kilkenny City Harriers’ Eoin Everard looks like one of his chief competitors should he run the metric mile at Sport Ireland’s National Indoor Arena in Abbotstown. Mark English is back on song having won the 800m at the Athlone International Grand Prix in 1:46.94 and will be a tough nut to crack. 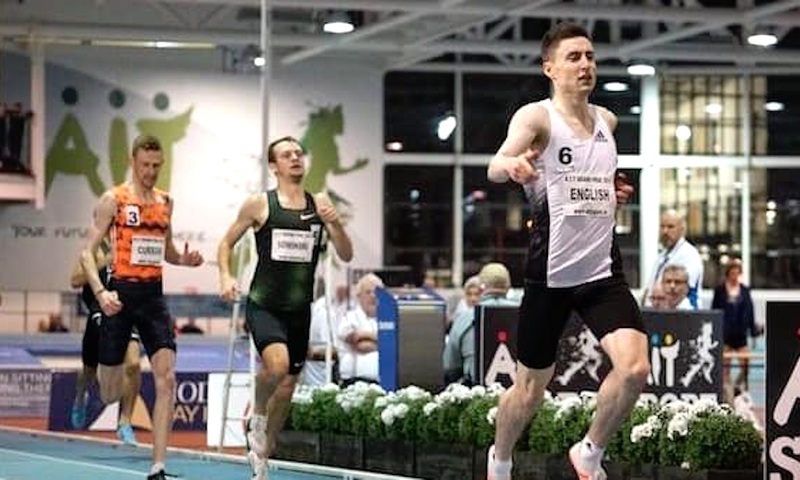 DSD’s Zak Curran and Annadale Striders’ Conal Kirk both secured European indoor standards behind him in Athlone and will be there to pounce if there is a slip-up. 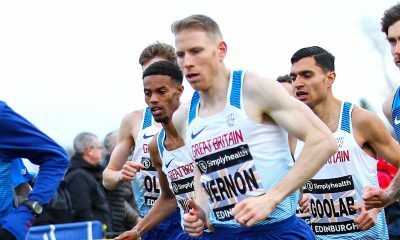 There is a big entry for the men’s 3000m with Donore Harriers’ John Travers looking to continue his good form fresh from his sub four-minute mile clocking in Athlone. Siofra Cleirigh Buttner looks like the favourite in the women’s 800m heading the entries on 2:03.30 with UCD’s Claire Mooney and Templeogue’s Nadia Power also in contention for medals. 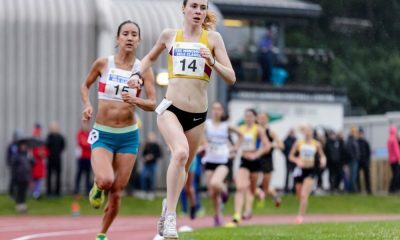 Sarah Healy is entered for both the 1500m and 3000m, however it is unclear what event the Blackrock youngster will tackle on the weekend. St Coca’s Claire Tarplee and Emerald’s Amy O’Donoghue will be among the contenders. In the race walks, Kate Veale (West Waterford AC) will be favourite to retain her senior women’s 3,000m title with Alex Wright (Leevale A.C.) also the hot favourite in the men’s 5,000m walk. Phil Healy continues her ascent in the women’s 400m leading the rankings with 52.31 but St Joseph’s Sophie Becker has made significant progress and also holds a European Indoor qualifying time with 53.66. The men’s 400m sees Thomas Barr continue his indoor campaign where he hopes to compete in his first major indoor championships in Glasgow. Barr will target a sub 47-second clocking. Tallaght’s Joseph Ojewumi and Galway City Harriers’ Cillin Greene head the men’s 60m and 200m rankings (6.77 and 21.47) respectively, but will face stiff competition from last year’s double winner Leon Reid of Menapians and St Laurence O’Toole’s Marcus Lawler. Ojewumi will look to win his first national senior title along with copper-fastening his place to the European Indoors – his first major championship. Molly Scott has had an excellent indoor season and heads the rankings in the women’s 60m with 7.36 seconds. City of Lisburn’s Lauren Roy is another who has impressed with 7.39 – both times are under the European indoor standard of 7.40. Leevale’s Joan Healy, Emerald’s Ciara Neville and Patience Jumbo-Gula of St Gerard’s Dundalk will be among those looking to compete. St Joseph’s Sophie Becker heads the 200m rankings with 24.07 followed by Sharlene Mawdsley on 24.21. With Becker likely to focus on the 400m it will be an interesting event with Rhasidat Adeleke of Tallaght also on the entry list. Molly Scott (SLOT) and Kate Doherty (DSD) could have an exciting duel in the women’s 60m hurdles with only one-hundredth of a second separating them on the season’s times – 8.34 to 8.35. Matthew Behan (Crusaders) will be aiming for gold in the men’s 60m hurdles – the only man to run under 8 seconds this season. Ruby Millet and Shane Howard lead the long jump entries, while Saragh Buggy and Mark Burton are the leading triple jumpers. Sommer Lecky and Pippa Rogan look set to have a close battle in the women’s high jump having both cleared 1.84m. The men’s high jump is open this year with Shane Aston, Ciaran Connolly and Ryan Carthy Walshe among the contenders. Clodagh Walsh and Matthew Callinan Keenan are the leading entries in the men’s pole vault, while Michaela Walsh and Sean Breathnach will look to impress once more in their respective shot put competitions. The action will be streamed live on Athletics Ireland’s Facebook page and the full timetable can be found here. Are you a fan of Fast Running? Then please support us. 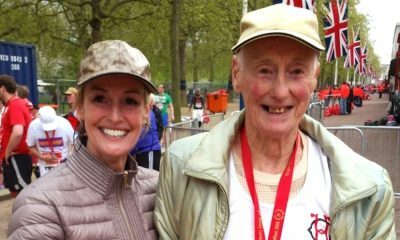 For as little as the price of a monthly magazine you can support Fast Running – and it only takes a minute. Thank you. Run better with weekly tips from the Fast Running newsletter!